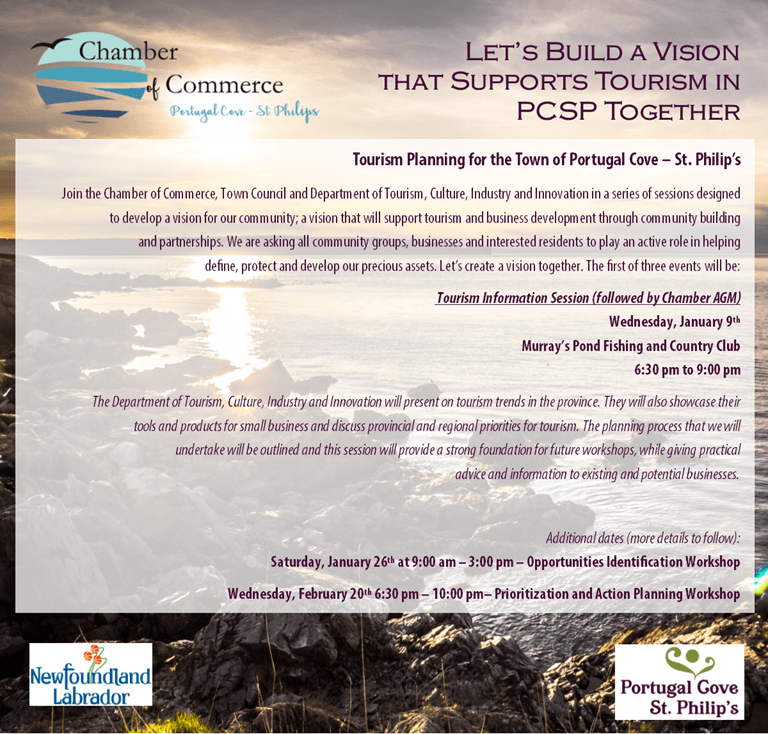 Join the Chamber of Commerce, Town Council, and Department of Tourism, Culture, Industry, and Innovation for a series of Tourism Planning workshops and events. The first session is coming up this Wednesday, January 9th from 6:30pm to 9:00pm at Murray’s Pond Fishing and Country Club. This Tourism Information Session will be followed by the Chamber of Commerce AGM. All are welcome and encouraged to attend!